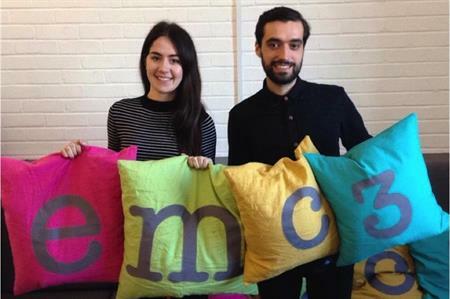 Global agency emc3 has hired two new team members after reporting a 70% year-on-year growth. Hannah Lumley has joined as events assistant, while Benjamin Graland has been appointed as junior graphic designer. Lumley has previously worked with several well-known clients and suppliers, including KPMG, Saville Consulting and Milkround, during a placement year at Bournemouth University. Saskya Liney, event manager, said: "Hannah already adds another dimension to our team, she is a bubbly, charismatic addition to our team with a solid foundation in events. She loves socialising and meeting new people – that’s why she chose a career in the events industry." Prior to joining emc3, Graland worked for Apple as a workshop specialist for three years. Senior global events manager, Anita Engebretsen, said: "Ben, in his short time with us, has already produced some incredible work. He has, and continues to demonstrate, a passion for design, keeping up to date with trends and incorporating this into his work. We’re hugely excited wait to see what we can achieve together."